Fractions are useless, right? Wrong! Fractions are an integral part of our everyday lives and you will eventually use fractions in whatever profession you choose. Future doctors, architects, engineers, are you listening? This printable free fractions worksheet is here to give you some much-needed practice, so download it today! 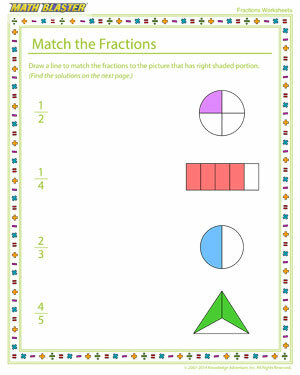 And then check out other cool fractions worksheets for kids.